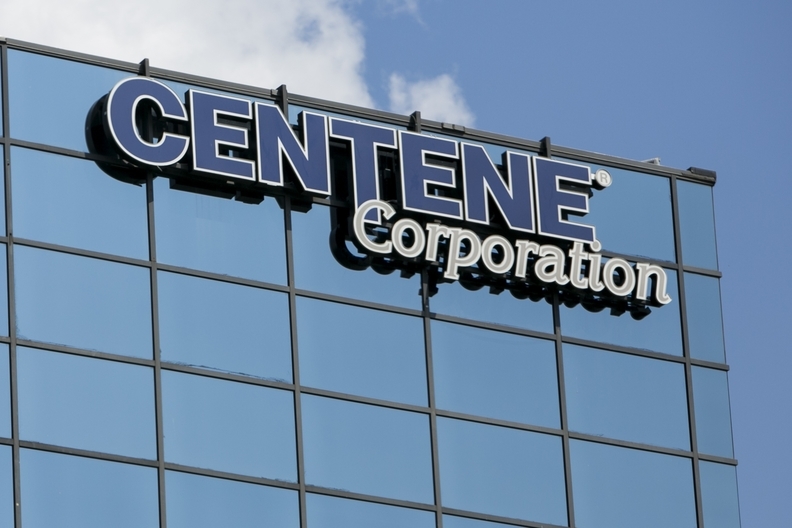 More Affordable Care Act marketplace and Medicaid members helped boost insurer Centene Corp.'s fourth-quarter and full-year 2017 revenue. St. Louis-based Centene's revenue for the fourth quarter of 2017 reached $12.8 billion, up 7.5% compared to the fourth quarter of 2016. Its full-year 2017 revenue totaled $48.4 billion, an increase of 19.1% year-over-year. The increase in revenue was driven by Centene's expansion in the public exchanges, along with expansions and new programs in states where it serves Medicaid members, the company said. "The strong fourth quarter and full year results for 2017 provide positive momentum heading into 2018 as we continue to focus on revenue growth and margin expansion," Centene CEO Michael Neidorff said in a statement. Centene's membership totaled 12.2 million at the end of December, an increase of 765,300 members, or 6.7%, over 2016. Its Medicaid membership was up by 3.4% to 7.1 million at year's end, and its commercial membership totaled 1.6 million, up 25.8% over 2016. Of those commercial members, 959,600 enrolled through the public exchanges. In 2016, Centene enrolled 537,200 through the exchanges. While many other health insurers have limited their participation or fully exited the exchanges because of losses and uncertainty in the marketplace's future stability, Centene has expanded its footprint, swooping in to snap up the business others have left behind. Centene filed to sell exchange plans in three new states in 2018, including Kansas, Missouri and Nevada, and expand its presence in six states where it already sold plans. Centene's medical loss ratio, which represents the amount of premiums spent on medical care and quality improvement, was 87.3% in the fourth quarter, compared to 84.8% in the same period in 2016. Its MLR was 87.3% for the full year 2017, compared to 86.5% in 2016. The insurer said its MLR rose because of its new or expanded Medicaid plans, which initially operate at a higher medical loss ratio. It also blamed the increase on a premium rate reduction for California's Medicaid expansion, which went into effect in July 2017, an increase in flu-related costs, and additional expenses in the fourth quarter of 2017 after the federal government ended cost-sharing reduction payments. Centene's net income in the fourth quarter was $230 million, down 11.9% over the same period in 2016. Still, it's full-year 2017 net income rose to $828 million, an increase of 47.3% over 2016.